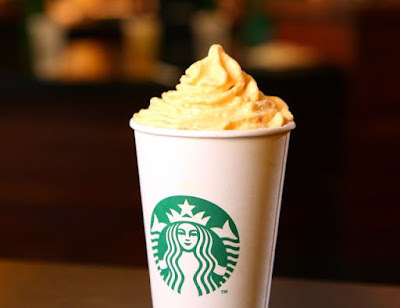 Starbucks' Pumpkin Spice Latte turns 13 this year and to celebrate, the company is offering new Pumpkin Spice Whip as a free, very-limited-time topping option through Monday, October 10, 2016 at participating locations in the US and Canada. For the short duration, Pumpkin Spice Whip will be automatically served on Pumpkin Spice Lattes and Frappuccinos but can also be had by request on top of any other Starbucks beverage. The chain's most popular seasonal drink first made its official debut back on October 10, 2003. If you buy one through October 10, 2016, you can grab a free "Happy Birthday PSL" pin, while supplies last at participating locations in the US.